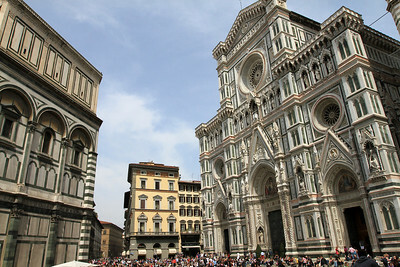 Florence - Duomo (right) and Baptistry (left). 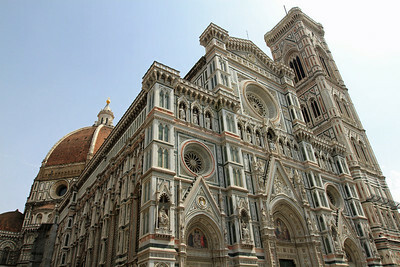 Florence - Duomo - Neo-gothic marble façade added in 1871-87. 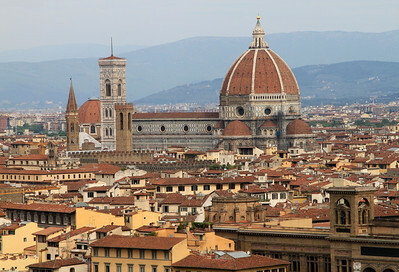 Florence - The Baptistry (left), façade of the Duomo and the Duomo dome. 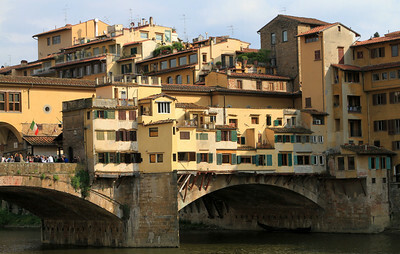 Florence - Ponte Vecchio, built in 1345. Florence - Ponte Vecchio over the River Arno. Florence - Buildings on the Ponte Vecchio. 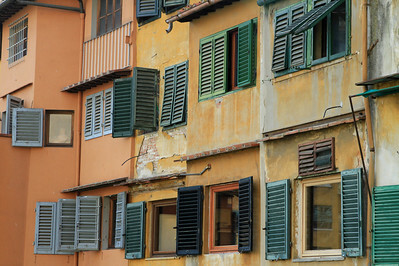 Florence - Windows and louvres on the Ponte Vecchio. 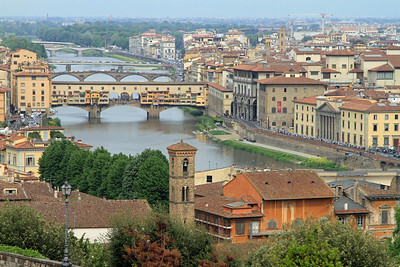 Florence -The river Arno and the Ponte Vecchio. 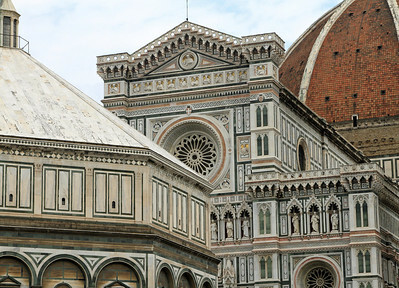 Florence - Duomo - Building began around 1294 and took 150 years to complete. 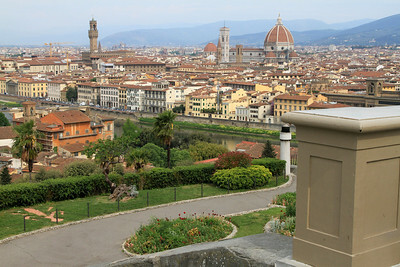 Florence - View over the city and River Arno from Pizzale Michelangelo. 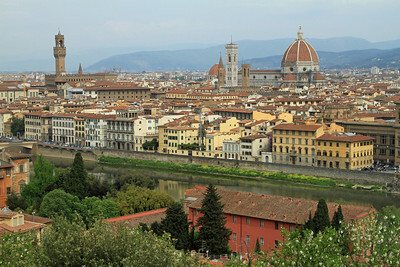 Florence - Wider view over the city of Florence and the River Arno from Pizzale Michelangelo. 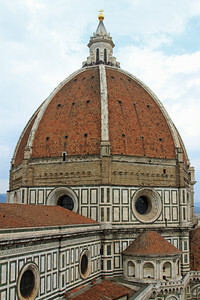 Florence - The dome of the Duomo, finished in 1463. 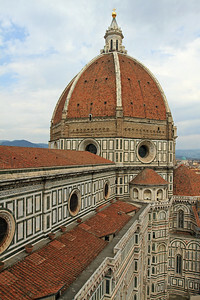 Florence - Another view of the Duomo dome.